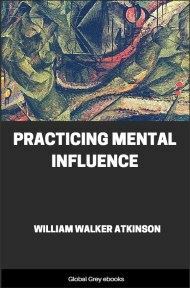 In this seminal work, Atkinson details practical techniques you can use to achieve influence over others' minds while at the same time using the same methods to identify and resist attempts by others to influence you. Students of history find a continuous chain of reference to the mysterious influence of one human mind over that of others. In the earliest records, traditions and legends may be found giving reference to the general belief that it was possible for an individual to exert some weird uncanny power over the minds of other persons, which would influence the latter for good or evil. And more than this, the student will find an accompanying belief that certain individuals are possessed of some mental power which bends even "things" and circumstances to its might. Way back in the dim past of man's history on this planet, this belief existed, and it has steadily persisted in spite of the strenuous opposition of material science, even unto the present day. The years have not affected the belief, and in these dawning days of the Twentieth Century it has taken on a new strength and vitality, for its adherents have boldly stepped to the front, and confronting the doubting materialistic thinkers, have claimed the name of "Science" for this truth and have insisted that it be taken, once and for all, from the category of superstition, credulity and ignorant phantasm. Were it not pitiable, it would be amusing to glance at the presumptuous, complacent, smug, self-satisfied position of the materialistic school of thinkers, who would brush aside as a foolish delusion that which many of the wisest men of a past age have accepted and taught as the truth. The modern "know-it-alls" would sneer contemptuously at facts that are known to be of actual occurrence in the daily lives of thousands of intelligent people, and which the experience of humankind has demonstrated for many centuries, in all lands and all races. 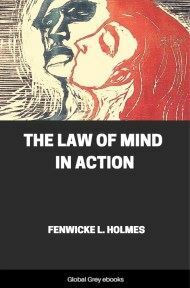 The trouble lies in the dogmatic assumption of the materialistic school that what is known as "mind" is merely some peculiar action of the material brain, some writers even holding that "the brain secretes thought, just as the liver secretes bile." They refuse to see that the operation of Mind is a manifestation of energy known as electricity, magnetism, light, heat, gravitation, cohesion, etc. Because mental energy does not register the vibrations of these lower forms of energy, they conclude that the higher mental energy does not exist. Having formulated a theory to suit their materialistic conceptions, they try to ignore all facts not consistent with their theory. If they find a fact that will not squeeze into their narrow theory well, "so much the worse for the fact," as a writer has said and they promptly ignore or dispute it. 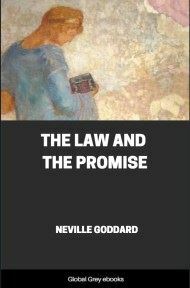 As a matter of truth, the investigator is not compelled to resort to metaphysical explanations to account for the phenomena of Mental Influence. The very facts of physical science itself, if rightly interpreted, will give the clue to the mystery; and will point the steps of the honest investigator toward the path where he may find the solution of the perplexing riddle. Although we know that the real solution lies in the metaphysical realm, still even physical science will corroborate the facts of its metaphysical sister science, and instead of contradicting the latter will actually go far toward furnishing analogous facts and principles basis for a theory of metaphysical facts. The student will see at once that so far as physical science is concerned, it must begin at the phenomenon of "Thought Transference," for in that phase of the subject may be found an elementary principle in evidence in many other forms of phenomena. 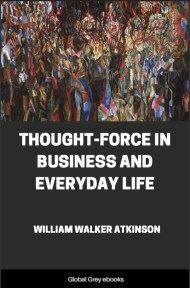 We have given many instances of "Thought Transference" in the two proceeding volumes of this series, entitled "Mind Reading" and "Psychomancy," respectively, and so we need not repeat the same in this place. 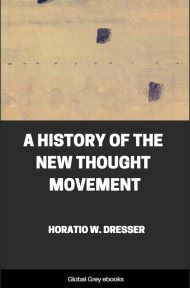 The main fact is that "Thought Transference" does exist, and may be accounted for upon purely scientific grounds, without calling in the truths of metaphysical thought. We know that this is a strong statement, and a positive assertion, but we also know that the same may be demonstrated. Let us consider this phase of the subject. 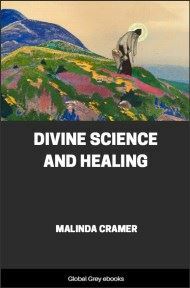 In the first place, physical science teaches that underlying all forms, degrees and apparent differences in matter and energy, there is to be found a manifestation of some elementary energy, which manifests in what is known as "Vibrations." Everything in the material world is in vibration - ever manifesting a high degree of motion. Without vibration there would be no such thing as a material universe. From the electronic-corpuscles which science teaches compose the atom; up through the atom and molecule, until the most complex forms of matter are manifested, there is the ever-present Vibration. And through all forms of energy, light, heat, electricity, magnetism and the rest, Vibration is also ever present. In fact, physical science itself teaches that not only is Vibration the basic force underlying other forces and the various forms of matter, but also that the apparent differences between the various forms of matter, and also between the various forms of energy, are caused simply and solely by the varying degrees of Vibration manifested. Just as the difference between the lowest tone that can be distinguished by the ear of man, and the highest note that can be distinguished by the same organ of sense, is merely a difference between the rate of Vibration - just as is the difference between the dull red color at one end of the spectrum, and the violet at the other end, with the intervening colors known as indigo, blue green, yellow and orange, with all the combinations of shades arising from them - just as the difference between the greatest degree of cold known to Science, and the greatest degree of heat that can be conceived of - just as these great differences due solely and wholly to varying rates of Vibration - so is the difference between and all forms of matter or force simply a matter of the rate of Vibration.